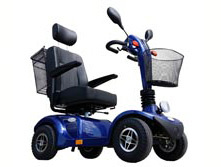 Like any vehicle, electric golf carts contain moving parts and as such require regular routine maintenance. 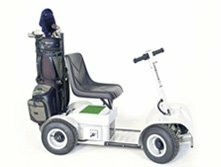 It is always recommended that you have a qualified Technician carry out a full Maintenance Service on your golf car at least once per year, however there are some basic maintenance procedures that must be carried out by you on a regular basis in order to keep your vehicle in optimum working order. Below is a basic guide to assist you, the golf car owner, to carry out general maintenance on your golf car. In this scenario, let’s assume you play one or two 18-hole rounds of Golf per week and your cart is fitted with Deep-Cycle Lead-Acid batteries. Switch the vehicle to ‘TOW’. ALWAYS do this if you are working on the vehicle. The Tow/Run Switch is generally located under the seat of most golf cars, somewhere in the battery bay. Check Battery Water Levels, use the automatic battery watering system if fitted, otherwise, remove the vent caps from each battery and ensure the plates are covered by approximately 5mm of fluid. If any plates are exposed, add distilled water only until each plate is covered by approximately 5mm of fluid. DO NOT FILL THE BATTERIES TO THE TOP. Ensure the top of the batteries are clean and the terminals free of corrosion. You can use a wire brush and some boiling water to do this. Remove any build-up on each Battery Terminal. Switch the vehicle to ‘TOW’. ALWAYS do this if you are working on the vehicle. Using an appropriately-sized ring spanner to ensure all nuts on each Battery Terminal are tensioned correctly. DO NOT OVER TIGHTEN THE NUTS, simply ensure they are not loose. Ensure all Wheel Nuts are tensioned correctly. Check Tyre Pressures. Correct inflation pressures can be found on the sidewall of the tyre but as a general rule you should inflate the tyres to between 18-22 PSI for a standard 4-ply golf car tyre. Contrary to what some people think, the Deep-Cycle batteries in your golf car DO NOT like to be run flat and then charged up again. Deep-Cycle batteries will last a lot longer if you ‘top up’ the charge. Very simply, most (if not all) late model golf cars come with an automatic charger that will turn itself off once the batteries are fully charged. As a result, we strongly recommend that once you have finished your round of golf and have your golf car safely parked away, place the car on charge and leave it plugged in until you next wish to use it. By charging your car up after each round, you will greatly increase the life of your batteries. If you’re unsure about how to correctly maintain your Golf Car, please don’t hesitate to give us a call as we’re more than willing to give you some help. SERVICE, REPAIRS and SPARE PARTS for all makes of Golf Cars and Utility Vehicles.